Ron Shaich, Panera Bread Founder and CEO, recently wrote an open letter to customers, saying, "Consumers are demanding more of the companies that feed them." For 10 years, Panera had progressively responded by working to end cruel confinement for farm animals. By January 2015, it had phased out the use of gestation crates for its pork and 80 percent of its beef came from grass-fed cows. But over 80 percent of the hens supplying eggs for its café and bakery items were still confined to a life of pain and suffering in battery cages. With many of Panera's biggest competitors already acknowledging public outcry and committing to use only cage-free eggs, Panera's egg policy was out of step with consumer expectations. This week, Panera turned the page on cruel confinement for hens. 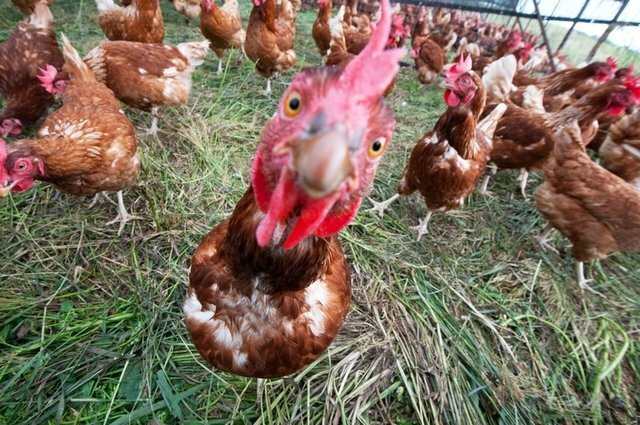 By announcing that its 120 million eggs used in breakfast sandwiches, broth bowls, signature breads, pastries, and more will be 100 percent cage-free by 2020, the company has committed to freeing approximately 400,000 hens annually. In his letter, Mr. Shaich also wrote, "We at Panera want to be part of the solution," and today Panera is, for hundreds of thousands of hens. Panera's announcement demonstrates that consumers continue to play a critical role in bringing about positive change for animals. The availability of cage-free eggs has changed drastically in the last several years, all because of consumers demanding more from restaurants and food brands. Of the top 10 fast food restaurant chains in the US, Panera is the sixth to make a sweeping commitment to hens. Just months after McDonalds, Starbucks, and Dunkin Donuts announced commitments to phase out the use of cages, Panera has joined them with an aggressive five-year timeline for going 100 percent cage-free. Along with its announcement for hens, Panera highlighted that 89 percent of the beef it uses now comes from grass-fed, free-range cattle. This is up from 80 percent in 2014. Panera also confirmed that 100 percent of its pork comes from gestation crate-free pigs and that 100 percent of its chicken and roast turkey used in salads and sandwiches is antibiotic free. Businesses have the power to drive tremendous improvements for the way farm animals are treated, but this change is only possible when consumers speak up and ask for higher standards from the companies that feed them. With that in mind, it's time to turn our attention to businesses without commitments to go 100 percent cage-free. Several of America's most well-loved restaurant companies have either been silent on this issue or have only made a commitment to transition a small percent of their supply chain to cage-free. We urge businesses like Hardee's and Carl's Jr, Denny's, Sonic, Wendy's, IHOP, Golden Corral, and Whataburger to join the top ranks of their competitors, who have already demonstrated their commitment to animal welfare by committing to go cage-free. Those that resist will not survive in this changing market.